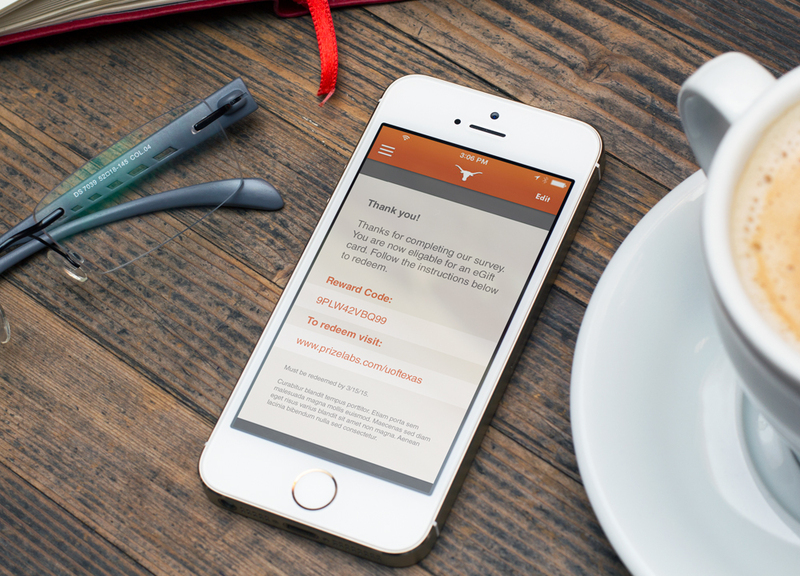 The University of Texas Austin needed a simple way to convince recipients to participate in a new study. They created a new game app they hoped people would test, but couldn't find the means to persuade people to do so. They decided to use download codes as an incentive to participate in the study. All they had to do was fill out a survey, download the app, and play a question in the game. They then received a $10 eGift card code to any online retailer of their choice after successfully playing. These high-valued rewards gave recipients the ability to choose what they wanted most. The prize platform offers gift cards from many business including well-known restaurants, all the way to high-end clothing retailers. 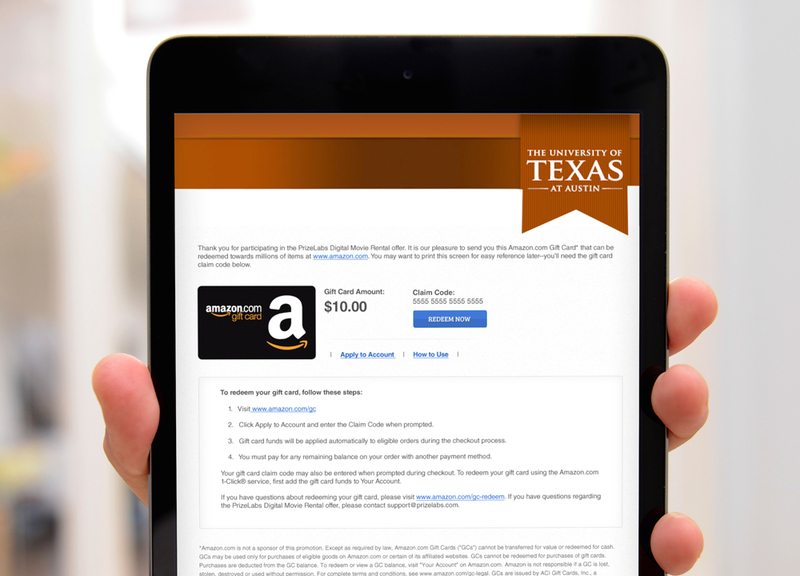 The University of Texas Austin benefitted from providing an eGift card of choice, and motivated customers to fill out survey in order to pick a reward that was most appealing. This is an on-going survey, and continues to successfully enlist participants.